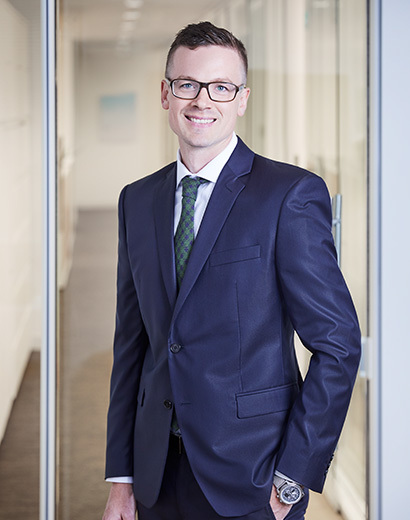 Jeremy joined Whitelaw Twining as an associate in 2018. He practices solely in the area of litigation with a focus on construction disputes, commercial litigation, and insurance defence. Prior to joining our firm, he worked at one of Saskatchewan’s largest firms representing clients who were engaged in disputes in a variety of areas. Jeremy has significant trial experience including being lead counsel for a defendant in a 7-week Queen’s Bench trial. Jeremy has advocated at all levels of Saskatchewan courts and at various regulatory bodies and tribunals. Jeremy’s practical, people-first approach helps him achieve the best outcomes for his clients. He understands their different needs and priorities and always looks at a case from their unique perspectives. He collaborates with clients to build strategies that lead to the most successful and effective results. When he’s not at work, Jeremy likes to keep active. He cycles and runs frequently, plays basketball and takes his dog Roxy out on long walks.